Buying Carrara Marble Mosaics & Tile easier than ever! 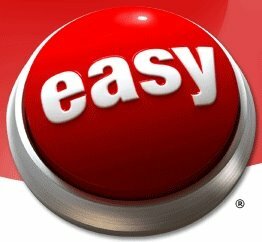 Easy Button – Works on Carrara Tile as well! Carrara Bianco, Venato Glass or Metal buying online is easier than ever. Consumers are spending more and more each year in online purchases and are showing with their wallets just how comfortable they are in shopping on the internet. 875 million consumers worldwide have made purchases on the web, up 40% from 627 million two years ago, according to the Nielsen Global Online Survey. The information you need in order to complete a Carrara bathroom remodeling project with Carrara subway tile, Carrara Basketweave or Carrara Hexagon mosaic inserts has become easier to reach these days. It seems as though you can’t even flip through the channels without seeing some sort of home improvement show or some type of remodeling show dedicated to a specific area of the home. Today, the Internet also aids the homeowner with a great deal of information on how to improve the look and feel of your home. Creating a spa like Carrara bathroom is one of the top home remodeling projects in 2009/10. Price: One of the biggest advantages of buying bathroom or remodeling supplies from The Builder Depot online is the price, The Builder Depot offers prices that cannot be competed with by ‘ANY’ traditional brick and mortar retailer, their cost base which must be passed on to the consumer through the product is just too high. Many times you will find that the price that you get online is going to be better than the price that you are going to find at your local tile store. For the small items such as trims you may not see a significant price difference but for larger items such as Carrara Hexagon Mosaic you will see a more significant difference – in most cases over 70%. Finally Tax Free shopping online through Builders Depot Direct offers tax free shopping in some cases an immediate saving of up to 9%. Convenience: Many homeowners enjoy shopping in the comfort of their own homes because it is much more convenient than shopping with the masses. This especially holds true around the holidays. Selection: Our customers look far and wide for tile collections that are unique and appealing to our loyal customers. Some we design ourselves, some we procure from factories where we maintain long-standing relationships. In either case, we endeavor to bring tile collections that offer the highest quality, unique tile designs, and attractive pricing to our customers. Shipping: Tile is heavy and therefore in many cases it can be expensive to ship. Through our extensive relationships in the freight industry we are able to offer our customers reduced flat rate shipping to each of the 50 US States for all of the products on our website. We also offer many freight options – we just do not let a computer come up with a flat rate like our competitors that is more than fair for someone who lives 3,000 miles from the warehouse but unfair to someone in the next state, we look at all orders and shipping on a case by case basis. Fast Delivery: More than 90% of our products are in-stock and ready to ship immediately. For these items we make every effort to ship them within 24 – 48 hours depending on when we receive your order. Some items can take a bit longer to ship – up to a week during our busy periods on account of demand. But for the most part, orders are shipped quickly and all tracking numbers are provided to our customers so they can track their package from the convenience of their home. The number one reason consumers say they do not want to shop online is because they cannot feel and look at the product themselves, Builders Depot Direct answers that by offering samples of all their products and encourages our customers to buy samples before any purchase. Our sample shipping department is particularly unique, shipping 95% of all sample orders in 2009 on the same day – you can read this ‘fast shipping’ comment again and again on our 100% positive EBay and Amazon ratings. We challenge any potential customer to compare our Venato Carrara product offering to any of our competitors – affordable pricing, customer specific shipping, and fast order turn-around times which all make for a pleasant and hassle free shopping experience saving our customers thousands of dollars while increasing their homes value. We urge you to consider making your next Carrara tile, Carrara Mosaic or Carrara trim purchase with our company www.thebuilderdepot.com. We appreciate each and every customer who chooses to shop at our online tile showroom and we work hard every day to earn your business, we have focused our business targeted a very small segment of the US market for our Venato Carrara range, we are focused on removing all costs in the supply chain to provide our customers the “highest quality products at the lowest possible price”. Please feel free to order a sample online, compare our quality to anyone else, then our prices – with our unique business model it provides a select group of customers with the very best at incredible pricing.